Noble Broadcasting Corporation Pvt Ltd., owns Aahaa FM, broadcasting in the frequency of 91.1. Aahaa FM features its programmes in Tamil and this caters to the entertainment needs of Chennailites. An official statement has not been received by either of the two radio stations. A person familiar with the deal, who did not want to be named, said the Ministry of Information & Broadcasting (MIB) has given a go-ahead in principle. Another industry source also confirmed that the acquisition had been “approved officially”, quotes an online media news company. 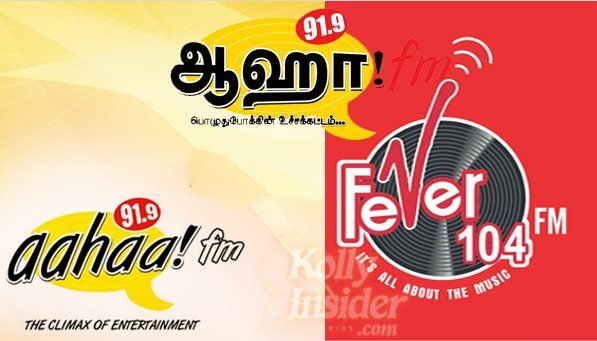 Fever FM, which is the radio division of the Hindustan Times (HT) group, operates in Mumbai, Delhi, Bangalore and Kolkata. Aahaa 91.9 FM has operations limited to Chennai. A senior radio executive at a south India-based radio station said, “Chennai might not be as big a market as Mumbai or Delhi but it has a strong local retail base and so it is among the top 4-5 markets in India.” “Aahaa FM is doing average business but it is not in the top 4 in Chennai, he said, further adding that the Chennai market is currently dominated by Suryan FM, Radio Mirchi and Hello FM.